Remember a few years ago when everyone was talking about this amazing new technology called 4K or Ultra HD TVs? Well, consider that yesterday’s news, as this year at CES, all of the buzz is about 8K. This new display resolution is effectively eight times the visual fidelity of standard 1080p HD. With over 33 million pixels to feast your eyes on, 8K is certainly going to wow consumers as it hits the market more and more in the coming years. Currently, there is a significant (if not severe) lack of infrastructure for 8K. There are very few sources of video for 8K footage, as well as a lack of support for 8K at a desirable frame rate with current HDMI technology. Thankfully, solutions to these are on the horizon. Many of the eight displays shown this year feature artificial intelligence scaling, which means that AI will upscale to display natively 4K content in stunning 8K, effectively giving new life to existing content as it migrates over to newer, higher resolution screens. Besides seeming like pure magic, this is a really neat application of artificial intelligence technology. As far as HDMI goes, a new spec, called HDMI 2.1, is on the way soon. What does this mean, you may ask? It pretty means that new HDMI 2.1 certified cables will be able to carry more data. So expect higher frame rates, better High Dynamic Range, and an overall more pleasing image as TVs, video services, and streaming boxes start supporting this new spec. Samsung had a major presence this year at CES, and one of their many focuses was on a display technology called MicroLED. 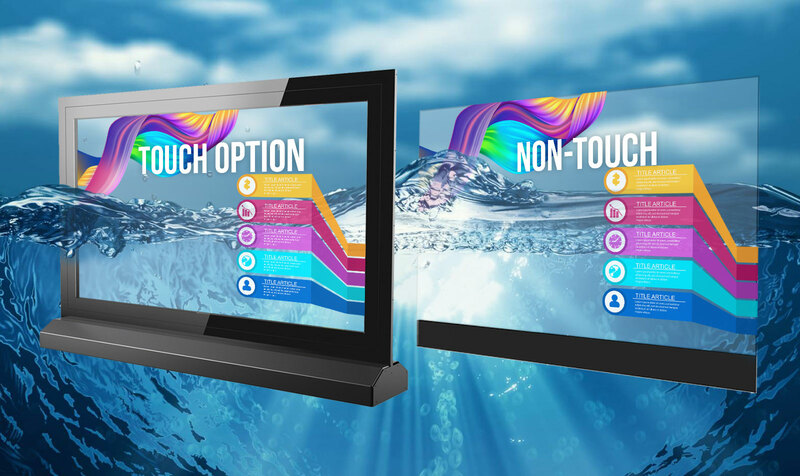 This display technology is considered to be featured in the next generation of TVs, and what it does is combine the best features of OLED with the durability and brightness advantages of other display technologies, such as LED and LCD displays. The technology is essentially multi-millions of tiny individually controlled LEDs that light up on their own to produce an image. Samsung decided that the best way to show off this revolutionary new technology was by a piece they called “The Wall.” This 146-inch 8K television has been America’s second most talked about Wall over the past few weeks and has wowed technology press and the general press alike. It’s also modular, meaning that you can take pieces off or add pieces on to create any screen size and aspect ratio you desire. To add even more into the confusion, another new TV display technology was revealed at CES. This one is called “ULED XD” and is brought to the world by Hisense, a relatively unknown Chinese manufacturer. What Hisense did here was fuse two LCD panels together into one, and this allows for over twice the amount of backlight to get blocked, allowing for much deeper black levels, on par with OLED TVs. In plain English, this means that you will be able to get a TV with near perfect blacks whilst still being able to achieve impressive peak brightness levels, something that is a major problem for many OLED TVs. This new display tech will also avoid ghosting, which is where an image burns into the screen. It’s another impressive development of display tech at this year’s show. Ever wanted to simply roll your TV up like a rug and put it away while you are not using it? No? Me neither, but that’s not stopping LG from unveiling a rollable TV at this year’s show. The South Korean manufacturer is utilizing flexible OLED technology to introduce this new TV set into the market. The main display comes on top of a box, and with the press of a button, it will lower itself into the box, which acts as a storage compartment for the display while also being the TV’s speakers. Although this surely is impressive, I don’t see it being too practical right now, not to mention that it will be extremely expensive as well. Props to LG for innovating, though, and I can’t wait to see how this technology matures as the years go on. Continuing on with flexible OLED displays, this year at CES the press was able to see the world’s first working production model of a foldable phone. The Royale FlexPai features a 7.8-inch foldable display that looks like something out of science fiction. You may have never heard of the manufacturer before, and that is with good reason: It is a five-year-old startup that has been working on flexible OLED technology ever since its inception. The FlexPai is one of Royale’s first consumer-ready production phones, but don’t let that fool you. The product, (or the version of it on display at CES), is very unpolished in terms of software. This is mainly because Android (The OS that the phone utilizes) doesn’t know how to properly work with foldable phones yet. This is something that Google is said to be working on, but as of today, there is still a long way to go. Regardless, this device is certainly awe-inspiring and a possible glimpse into the future. Display technology is only one of the many trends saw this year at CES. Some of the other trends shown off this year included artificial intelligence, 5G, even more Smart Home devices, and autonomous vehicles (including prototypes for a fully-autonomous 18-wheeler). As is the case with a lot of brand new technology, we will have to wait and see how practical some of these types of new tech become as they are rolled out.